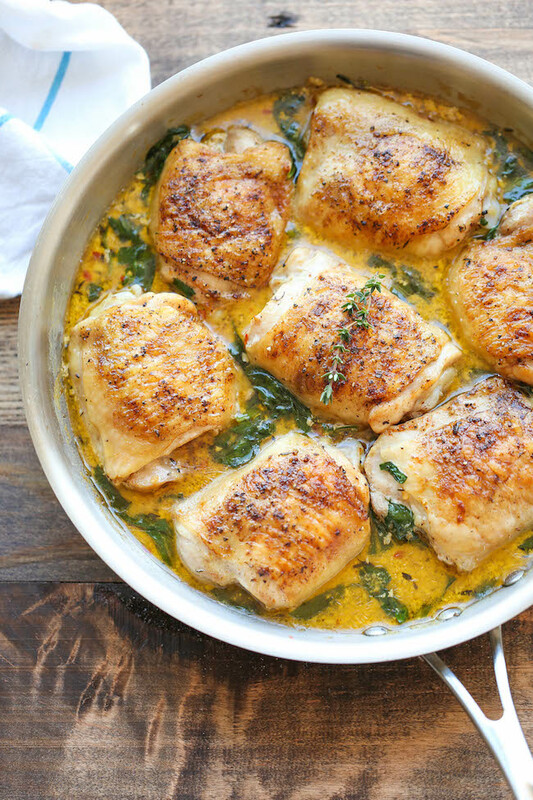 Damn Delicious – Lemon Butter Chicken; a primally inspired, paleo LCHF recipe. I love lemon and butter and chicken, so I hope you do too! This amazing recipe from damndelicious.net is a perfect combo of all of these tasty ingredients. At less than 6 grams of carbs per serve, just add some low carb cauliflower rice and some steamed broccoli for a delicious, satisfying low carb meal. So head over for the whole recipe at Damn Delicious – Lemon Butter Chicken, but first gather your ingredients together and here is the shopping list for you. Note that the recipe has the serving size as 8 but I think that you need to have two chicken thighs for each person. Head over to damndelicious.net/2014/12/31/lemon-butter-chicken/ Lemon Butter Chicken for the rest of the recipe.